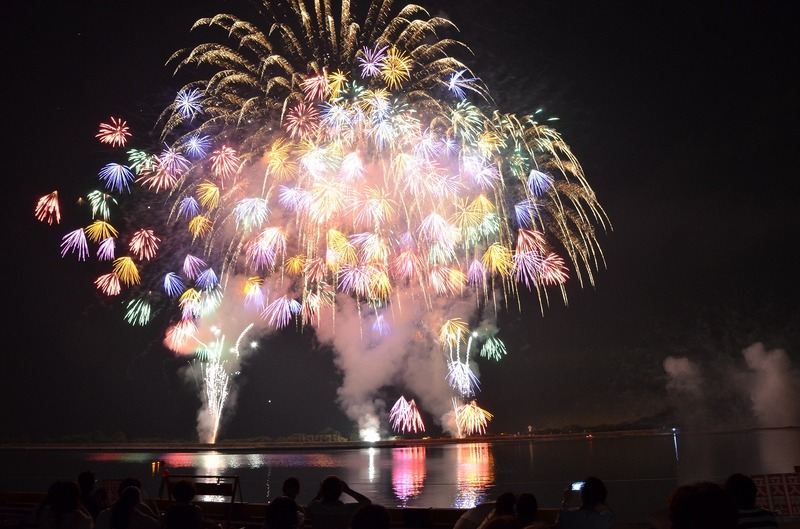 This fireworks show is held in the area around Kasaoka Port of Kasaoka City in Okayama Prefecture. It is immensely impressive with its 5,500 shells-big and small-including aquatic fireworks in the finale, super-rapid starmines, special effect fireworks and the biggest shells in the Chugoku region. We recommend observing the fireworks from Furushiroyama Park, where you can see the entirety of Kasaoka Port.